Hello, We all have heard about the fact that our skin sheds millions of dead cells daily. But, have you ever heard that even your scalp does the same after every wash. No! Then just follow this article and know the truth about the dandruff which irritates you with its presence. The other name for dandruff is seborrhea. The main reason for dandruff id Dry Scalp and some kinds of Bacteria and Fungi. It is not at all a big problem if the existence of dandruff is due to dry scalp. But, we should consider it more seriously if you notice any Bacterial and Fungal growth. Though it is not a big problem, it creates many other skin infections likes rashes, pimples, etc. So, know How to prevent dandruff and Dandruff Home Remedies without spending more money on Anti-dandruff shampoos. The Presence of dandruff is the main reason which is inhibiting your hair growth. The hidden cause for hair thinning and hair loss is also the same. So, to combat this culprit, you should know how to control dandruff by home remedies. Do you know that these dead scalp cells are also responsible for encouraging your long time enemy, i.e., Zits or Pimples? As mentioned earlier, it is not a terrible problem. So, the best way to prevent and Get rid of Dandruff is following some simple tips. 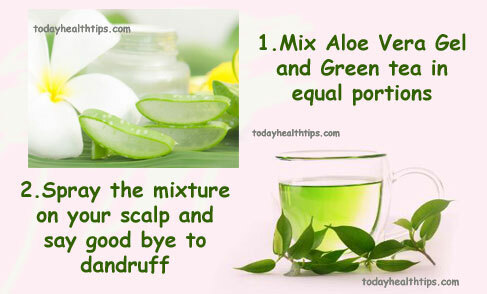 Check out the list of home remedies for dandruff and dry scalp and bid goodbye to Itchy scalp forever. When it comes to home remedies for any problem, you simply can’t ignore these cute little lemons. Where there is a problem there, you have lemons to rescue. Whether it is acne or any skin problems, tanning, dandruff, etc. lemons are the best in treating them. 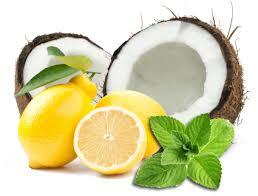 Lemon juice when mixed with coconut oil or sesame oil will act as the best Home Remedy for Dandruff. Coconut oil is known for its antibacterial properties. So, when you apply this mixture to the scalp; it may result in slight itchiness or irritation. But, don’t worry it has initiated its action against your dandruff and leave you an Itch-free scalp. Besides, you can also get smooth, shiny hair effortlessly. This is the Best Natural Treatment of Dandruff which doesn’t require more money. Select a fresh lemon and cut it into two halves. Extract the lemon juice and separate the seeds from it. Heat some coconut oil gently. Mix lemon juice and coconut oil evenly and apply it to your scalp. Massage smoothly to ensure that the mixture penetrates your scalp. Use this once a week for two to three months to get the best results. How could we forget this Miracle plant when you seek assistance from herbs. This is the best of all herbal remedies for dandruff and other skin and hair related problems. If you check the ingredients list of Anti-Dandruff Shampoo, then the 1st element in the list will be this magical gel. You can also use aloe vera shampoos available on the market, but its natural form is more efficient in treating your problem. Aloe Vera opens up the clogged pores and fights against the microbes that reside on your scalp. So, it cleanses your hair perfectly and makes your free from the itchy scalp. It is one of the best Dandruff home remedies which you can give a try. Cut a fleshy leaf of Aloe Vera and remove the outer layer and extract the gel. Take two green tea bags or 2 tablespoons of green tea powder. Soak them in hot water for 10 minutes. Remove the bags or filter to obtain fresh green tea and add aloe gel to it. Mix them both evenly and pour it into an old spray bottle and shake it vigorously. Spray it on your scalp and leave it for 1 hour. Wash your hair with a good shampoo. Repeat this twice a week. After trying all the artificial methods that fight dandruff, you will be exhausted. Because most of the Anti-Dandruff products leave your hair dry, frizzy which is unable to manage. Meanwhile, your enemy will be back as they are just temporary solutions for it. So, How to treat dandruff naturally at home? We have the answer for your problem. The Best Natural Remedy for Dandruff is Henna which you always use in decorating your palms and foot. Don’t worry it will not stain your scalp or hair. Henna have many medicinal properties like antibacterial, cooling agent and much more. So, try this dandruff treatment at home and bid a bye to dandruff forever. Mix Henna or Mehndi with tea decoction, sour curd. Add two spoons full lemon juice and mix well. Leave this mixture aside for overnight. Apply the mixture on your scalp and hair. Leave it for about 2 hours and then wash your hair thoroughly. The moment you hear the word castor oil, you will say no because of its greasiness. But this greasy nature of this oil will help your hair a lot in conditioning it. 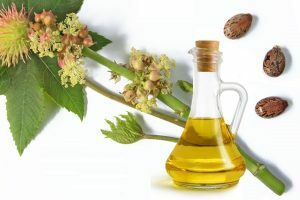 The fact that you are not aware of is most of your soaps, massage oils; medicines will contain castor oil. The enzyme ricinolic acid present in castor oil have the Anti-Microbial Activity which fights against dandruff. It also nourishes your hair from roots to tips and gives a smooth finish. The vitamin E and Omega fatty acids will lock the moisture and remove dryness of your scalp. So, try this Castor oil not only as a home remedy for dandruff but also to nourish your hair naturally. To make it less greasy, one should heat the oil before applying. Add lemon juice to preheated castor oil. Mix them both gently and apply it to your hair from roots to the tips. Leave it as such for 3- 4 hours and wash your hair with a foam based shampoo. Use these natural treatments for dandruff regularly and get the best results. You may have many hair related problems, but the one best solution for all your worries is Neem. These bitter leaves have many excellent properties which can treat all kinds of skin and hair related problems. So, you can include this neem leaves in the list of ‘at home remedies for dandruff’ This the best home remedy for dandruff, head lice, dry hair. 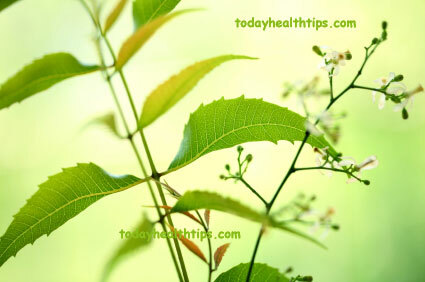 So, know how to use the Neem leaves as the herbal remedy for dandruff. This is the top most of all dandruff home remedies which is used by more than 40 % of the population. Collect fresh neem leaves and wash them thoroughly with water. Boil 3-4 liters of water and add these neem leaves and cover it with a lid. Filter the neem leaves and use the boiled neem water to wash your head. Use this dandruff home remedies twice a week and say bye bye to dandruff. The Apple Cider Vinegar is not only useful to dress your salads but also assists you in your hairdressing. The Apple Cider Vinegar is the by-product obtained from apple fermentation process. So, the same minerals present in apple are also present in this ACV. The Acetic Acid in Vinegar is a potent Antimicrobial agent which can cause the death of microbes residing on your scalp. Besides being one of the Dandruff Home Remedies, it helps in detangling your hair, retain your natural curl bounce, etc. So, add this dandruff home remedy to your top treatments and have a dandruff free hair. Add one cup of water to four tablespoons of vinegar. After washing your hair with shampoo, slowly pour the mixture over your entire scalp. Allow it to run down the complete length of your hair. Massage this mixture into your scalp. Rinse your hair with regular water and dry your hair. Fenugreek seeds soaked in curd works efficiently against dandruff and smoothens your hair. Curd is rich in many vitamins and proteins which help in repairing your hair damage effectively. So, follow this home treatment for dandruff and flaunt your beautiful hair effortlessly. Soak two tablespoons full of fenugreek seeds in one cup of sour curd for 8 hours. Grind them into a smooth paste and apply it to the scalp and massage well to ensure its penetration. After 3-4 hours wash your hair gently with a mild shampoo and dry your hair. Wash your hair twice a week with best hair shampoo and apply conditioner immediately after washing. To keep your hair away from pollution one should cover their hair using scarves or dupatta when stepping out. Your hair also needs nourishment just like your body. So, feed it with hair oil at least twice a week. We all know that the main causes of dandruff are dryness and microbes. So, to stay away from bacteria clean your hair brushes in hot water at least twice a week. Change your bed sheets and pillow covers every week, and use neatly washed ones. Also use washable headgears and hair bands and wash them gently once in a while to avoid reoccurrence of Dandruff. Every time After applying shampoo, ensure that the shampoo remnants are completely washed away. Because improper washing also may result in acquiring dandruff. If your scalp is too dry then use some non-greasy hair oils frequently to provide nourishment. 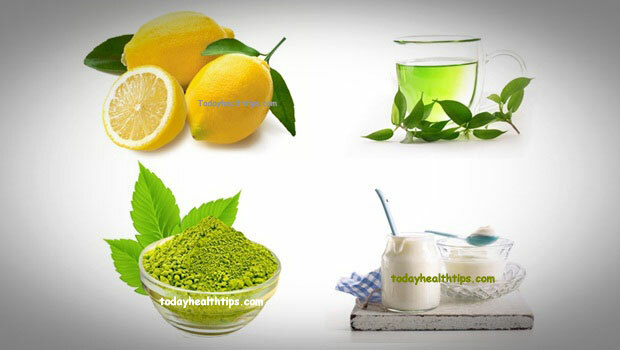 So, here we have provided the best Dandruff Home Remedies that you can follow easily. Try to follow any of them after checking which suits your skin. Along with these homemade remedies for Dandruff follow the guidelines given above to keep an end to dandruff and never ask again How to get rid of dandruff at home forever. Maintain healthy scalp to have healthy growing hair. Remember, your hair is your natural crown which makes you confident and strong. Flaunt your dandruff free hair happily.